Spare just 45 minutes of precious time and easily improve your typing skills with Typing Trainer 8.0. This is a full-featured typing master and trainer for Windows users. It helps you to boot your typing skills with simple exercises & games and recommends you to improve better. The 45-minute crash course analyzes your fluency and accuracy in typing words and sentences. 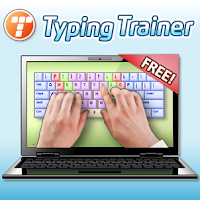 Typing Trainer 8.0 has several features to improve your speed and skill. It supports wide range of languages and unique keyboard styles. Moreover, this tool is Windows 8 compatible and free to download. The latest version Typing Trainer 8.0 is the enhanced one with quick typing boost, real-life typing analysis while you work, custom training for problems detected and advanced testing with more test texts. The interface is customizable with full-screen display with minimal distractions. Quick Typing Boost – This is a 45-minute class to improve your typing accuracy and fluency with most frequently-used words and letter combinations. Real-Life Analysis – This is a typing analyzer that evaluates your day-to-day typing in other programs and spots those keys that cause you difficulty. Custom Training – This offers completely tailored training sessions each taking only a couple of minutes. Advanced Typing Tests – Take more complex typing tests with specific duration and text and get detailed reports on the same. You can also print out a test certificate. Typing Games – Improve your typing with Typing Trainer’s four engaging games. The most challenging and fun part in Training Trainer are games. It offers testing games like Bubbles, WordTris, and Clouds. Click “Start” button to begin the respective game. You can play additional games online from typingtest.com. Customize the settings such as Sounds, Speed Unit, Screen size and Keyboard Layout. You can double your typing speed by learning to touch type. Sign up and 2-month access to Typingtest.com online touch typing course for free, which is worth $14.90. Difficult remembering username and passwords of many websites? Want to have a secure tool for login or fill forms with just a single click? Then, RoboForm is the ultimate tool for easy login on any computer or device available which saves your precious time and feel secure in all possible ways. 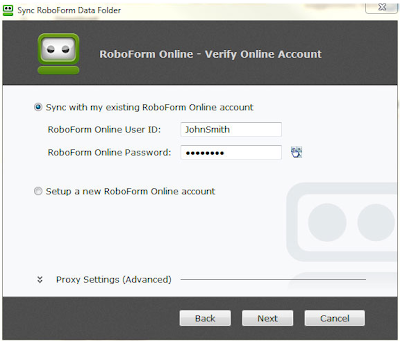 RoboForm is a powerful password management tool also used for filling forms automatically. RoboForm is basically a secure place that stores all your significant identities like usernames, passwords, name, country, postal code, and many things with just one click. RoboForm is developed by Siber Systems and you can access it literally from anywhere provided it supports many platforms such as Windows, Linux, Mac, iOS, Android, and of course USB drives. It is available for many web browsers, including Firefox, Google Chrome, IE, etc. For accessing desktops and multiple devices, you can utilize one license “RoboForm Everywhere” which is a professional version with a simplified price - $9.95 per year. After installing RoboForm, it prompts you to create a master password for data encryption. This password must be kept safe and should enter only when needed in order to manage all the other passwords and other data. The master password should be very strong as it is a prime credential for all encrypted data. And, then it prompts to create an identity for a website, forum, account or any web page with filling available fields. When you visit a webpage, the Auto-form filler remembers the particular data or user credentials and fills out those fields with usernames, passwords and other data securely. The latest version RoboForm 7.8 adds few important features to it such as synchronizing Most Recently Used (MRU) less often, fixing the empty conflict dialog notification, fixing AutoSync option which was not started because of no Master Password. It activates the RF-EW subscription expiration and notify user if the subscription has been extended. Improved Look and Feel with organized menu, updated icons, and quick process flow. Available on new browsers like Google Chrome, Safari for Windows. Available on mobile devices like iPhone, Android, Blackberry, Windows Mobile, Palm and Symbian. You can synchronize all your identities, logins and bookmarks seamlessly between all your desktops and devices. Improved Password Capture made it easier to view, capture and pile up all your passwords. New “Information Bar” hints a Login name based on the website name so that you can effortlessly customize the name and storage location. New Multiple Login Feature will easily sign-in several websites at once when you click ‘Batch Login’ button. Improved Bookmark Management where you can import bookmarks from your existing browsers or organize them by drag-n-drop facility. You can even sync between all your computers and mobile devices. Enhanced Organized Menus and Language Support. Displays your Most Popular Logins. Improved Website Icons in the Logins List making it easier to identity. 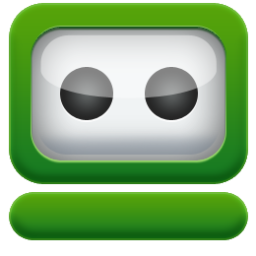 Depending upon the requirement you can choose RoboForm free, Desktop and Everywhere versions. If you want to remember passwords, auto login, fill forms with one-click, and encrypt the data then, choose free version. If you require advanced features than free version including unlimited logins, email support, multiple profiles and free updates then, choose Desktop version. Finally, if you wish ultimate features then choose Everywhere version, which include major updates, Automatic Sync, Mobile Device Support, unlimited computers/devices and above features. One-Click Logins and Form Filling. Strong AES 256 Encryption with additional security options. Cross Browser Support integrates with many web browsers. Cross Platform Support works with Windows, Mac, and Linux OS. Mobile Support where you access your RoboForm data on different mobile platforms. Synchronize and Backup securely across multiple computers and devices. 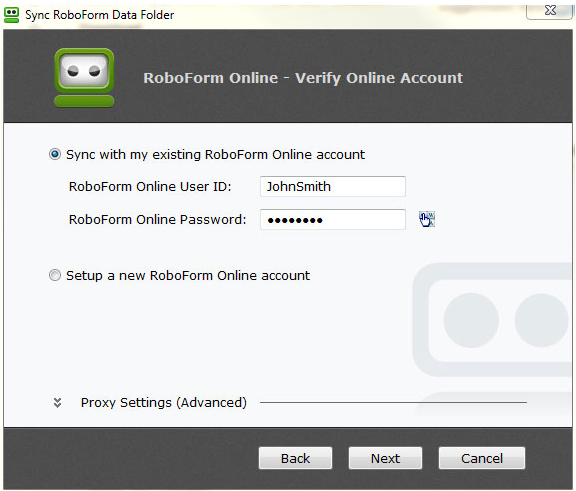 Access your data from anywhere with RoboForm Everywhere. 24x7 Customer Support with professionals. Complete USB Portability with RoboForm2Go where you can take your passwords with you. Full Control and Flexibility to access your data anytime, from any computer or device. Securely saves contacts and transfers them anywhere. Stores sensitive information such as ATM pins, credit card information, with highly-encrypted RoboForm Safenotes. Create Secure Passwords with RoboForm Password Generator. Fills out data only when the correct web domain is showed up, thus preventing phishing attacks. Search anything from your toolbar using automated RoboForm SearchCards feature. Securely transfer RoboForm data or Safenotes with your friends or family. Provides On-screen keyboard to enter your RoboForm Master Passwords which is very much recommended. Download RoboForm 30-day trial version for free from its official website or purchase your required version based on the platform or device. A Professional version of Glary Utilities is here to maximize your PC protection and optimize the performance level such that your computer maintains consistent speed without any registry errors or startup hitches. 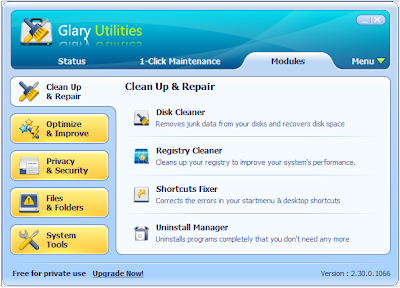 Glary Utilities Pro is a complete optimizing tool that can clean and boost your Windows performance automatically with powerful tools. It works silently in the background and provides ultimate protection with nearly practical tools. 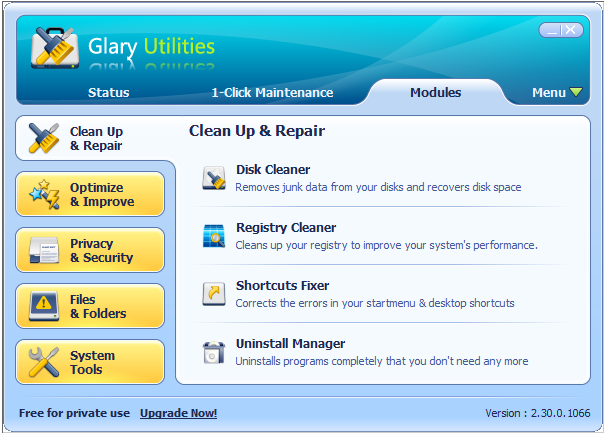 Glary Utilities Pro comprises of robust tools and options used to fix many PC problems with just a single click. The latest version 2.54 includes unspecified updates and improvements. The Pro version is available for 30-day trial download while you can purchase it for $27.97 from its official website. This tool is handy for home users with low-security issues such as registry errors, duplicate files, junk files, invalid startup entries, malicious internet traces, etc. 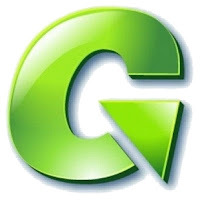 For these predicaments, Glary Utilities Pro offers numerous easy-to-use tools which include disk cleaner, registry cleaner, memory optimizer, startup manager, tracks eraser, file encrypter, spyware remover etc. What You Can Do With Glary Utilities Pro? You can clean system junk files, invalid registry entries, and internet browser traces to speed up the PC performance. You can block virus, spyware, Trojans, adware, and other malicious entries. You can fix certain application errors. You can manage browser add-ons as well as remove them. You can analyze disk space usage. You can find duplicate files. You can inspect and manage installed shell extensions. You can encrypt important files and folders which are vulnerable to unauthorized users. You can split large files into smaller pieces and rejoin them so that we can manage for other processes. As told by many techies, Glary Utilities Pro is the safest and most proficient system utility in the market available today. It is finely designed with tabbed interface which include Status, 1-Click Maintenance, Modules, and Menu on the top. The “Status” tab embraces the current program status, license status and the significant Auto-care settings, where you can change its options and schedule time. The “1-Click Maintenance” contains optimization features Temporary Files Cleaner, Registry Cleaner, Shortcuts Fixer, Tracks Eraser, Startup Manager, and Spyware Remover. You can choose what features to run and then click “Scan for Issues” button to fix the respective problems. Whereas, in the “Modules” section, you can choose only those tools which you want to run. It includes Clean Up & Repair, Optimize & Improve, Privacy & Security, Files & Folders, and System Tools. 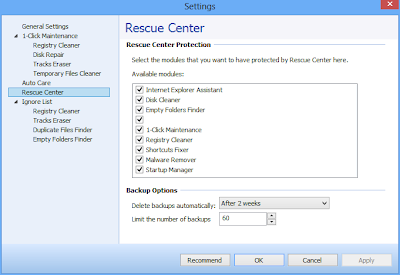 In “Menu” section, you can find miscellaneous options like Restore Center, Settings, Skins, FAQ, etc. One-click Maintenance – Provides one click solution with quick and deep scan for registry issues, invalid shortcuts, authorized startup items, junk or temporary files, malicious internet traces, and spyware. 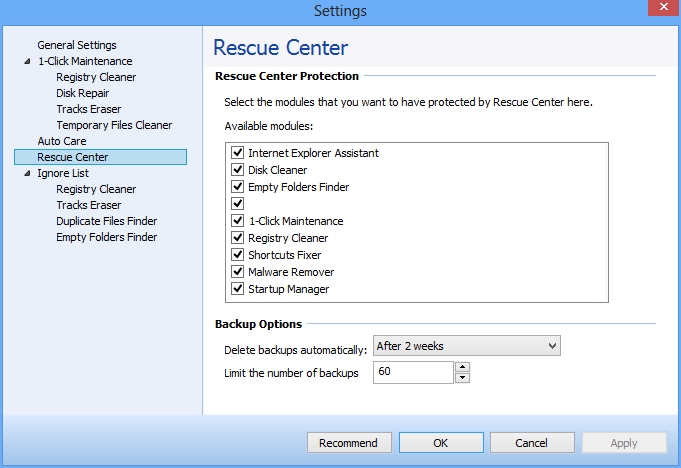 Clean Up & Repair – Disk Cleaner, Registry Cleaner, Shortcuts Fixer, and Uninstall Manager. Optimize & Improve – Startup Manager, Memory Optimizer, Context Menu Manager, and Registry Defrag. Privacy & Security – Tracks Eraser, File Shredder, File Undelete, and File Encrypter and Decrypter. Files & Folders – Disk Analysis, Duplicate Files Finder, Empty Folders Finder, and File Splitter and Joiner. System Tools – Process Manager, Internet Explorer Assistant, System Information, and Windows Standard Tools. It provides Automatic care in the background when your computer is idle. Cleans, Optimizes, and boosts your system speed and performance. Glary Utilities Pro 2.54 has small installer file less than 6.32MB and takes very low installation space. It is designed for Windows 8, 7, XP, Vista and 2000 (both 32/64-bit versions). You can purchase it with advanced features like Automatic care, improved optimization and cleaning, free 24x7 technical support, and allowance for commercial use. 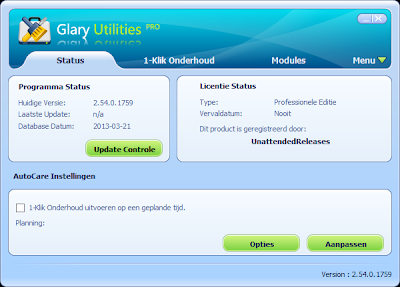 If you recommend Glary Utilities Pro to at least 15 people, provided they purchase and install it, you can get a free license key. You can also download the 30-day trial version for free with limited features from below link. One of the most critical and significant task when handling PC is Disk Management and Partitioning particularly, when your computer has low disk space. You must format and partition the hard disk drive when you’ve bought a new one, before you can use it. And to perform these tasks, a full-featured disk partition manager is essential. EaseUS Partition Master Free Edition is an excellent file management software which not only format and partition drives but re-partition them or even change the partition type. EaseUS Partition Master is a complete disk partition and management tool which provides three powerful and accurate tools – Partition Manager, Partition Recovery Wizard and Disk & Partition Copy. It allows you to extend partition of system drive, resolve low disk space problem, and manage disk space easily on MBR and GUID partition table disk. It is supported by 32-bit and 64-bit Windows 8, 7, Vista, XP, 2000 and dual boot Windows 7 and 8 on MBR and GUID partition table disk. The latest version EaseUS Partition Master Free Edition 9.2.2 adds the flexibility of activating the trial edition directly without downloading and installing the application again. The interface is smart enough to provide valuable functions such as resize, copy, move, merge, explore, check or convert your partitions. You can also defragment the disk partitions so that files and folders are arranged in order. The interface is significant for a partition tool which makes any PC user easy to operate and EaseUS Partition Master holds a simple yet powerful interface for performing all kinds of actions. The left-side of the interface holds the main operations like copy, resize, defragment, format, etc. and Tools like creating Bootable CD. The top also embraces the most frequently used operations like formatting, deleting, merging, backing up, etc. 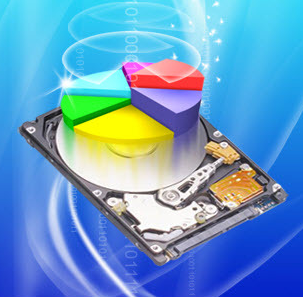 In the middle, the detailed information of the disks is displayed such as the partition file system, partition type, capacity, used space, free space, and status. Clicking on particular operation or tool displays another wizard or window to respective functioning. In this section, you can resize or move partition without rebooting the system to maximize PC performance. Without losing any data, you can safely merge two adjacent partitions into a bigger one. You can carry-out multiple operations such as creating multiple partitions, deleting them, wiping their unallocated space, wiping out disks or partitions permanently, defragmenting the disks to speed up your computer and much more. You can even convert dynamic disk to basic disk and convert FAT to NTFS file system. To check the bad sectors and rebuild MBR, a dedicated tool called “Disk Surface Test” is provided. To create, delete or recover EXT2/EXT3 partition on Linux systems, you can use “Linux Partition Management” tool. In Disk & Partition Copy Wizard, you could copy partition or entire hard disk quickly to another HDD without re-installing Windows, thus protecting your data. You can upgrade system disk to a larger one with just one-click. After completing the any operation, you can shut down the computer. Before performing copy operation, “chkdsk” function checks the file system and fixes the errors automatically. To protect your partition data from system disasters, power failures or virus attack, you can use “Partition Recovery Wizard” recovers the deleted or lost partitions. You can recover lost partition after repartitioned hard drive. There are two recovery modes in Partition Recovery Wizard – Automatic mode which requires less effort and Manual mode which gives you complete control over the recovery process. You can recover partitions that support FAT, NTFS, EXT2 and EXT3. Download the latest version EaseUS Partition Master Free Edition 9.2.2 supported by Windows 8, 7, Vista and XP from below link. This is a touch screen enabled video converter which is being launched recently for Windows OS, especially for Windows 8 version with video conversion tutorials. Mega Video Converter 1.7 is a freeware video converter which supports many popular audio and video formats for your favorite device. Mega Video Converter is a handy tool designed particularly for Windows 8 compatibility with multiple formats attuned for various playback devices. It has incorporated conversion profiles, known as presets that include iPad, iPhone, iPod, Nokia, Samsung Galaxy and many more devices and all are easily customizable. You can extract audio tracks from any video and save it as MP3, WAV, M4R and FLAC. It allows you to download either video or music from YouTube. The latest version 1.7 has fixed the downloading issue that was annoying in the previous edition. Mega Video Converter is developed by Clip Extractor, a very popular YouTube grabber tool. Like many video converters, Mega Video Converter (MVC) is simple, fast and intuitive, but the most eye-catching feature is its installation size and the gorgeous interface. Although, the interface is pure copy of Windows 8’s style, it looks so comfortable in processing. It is perfect for touch screen enabled system like Windows 8; however for others it appears to be a little out of rest. The interface is very much user-friendly, easy to navigate where you can customize the look with variety of color schemes. Since the latest version of MVC is still its starting stage, it has some screen-nagging problems which are annoying especially for Laptop users. 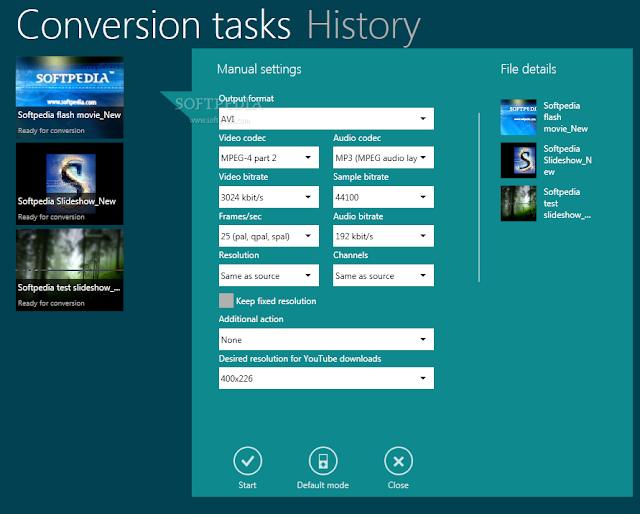 You’ll find two tile-buttons – Add File and Paste Link for conversion task. You can even drag-n-drop files and links directly to the window. After you have added the files or links, it displays the manual settings and the respective file details. You can set the output format, video & audio codec, video & audio bitrate, sample bitrate, video resolution, channels, etc. Click “Start” button to begin the conversion. Once the task is completed, you can send those files to your favorite playback devices such as Apple, Samsung, Nokia, PSP, PC, Windows Phone, etc. Downloads YouTube music or videos which are compatible for your favorite devices. Convert videos to many popular formats. Convert online videos directly from 40+ websites. Supports Windows 8, 7, XP, and Vista. You require Microsoft.NET framework 4.0 before you install, failing that you can’t proceed to next step. Download the latest version Mega Video Converter 1.7 from below link. To view, edit and convert image files has been the most tedious task for both normal PC users and professionals. You’ll need a powerful image viewer to perform all the above tasks in a simple and accurate manner. 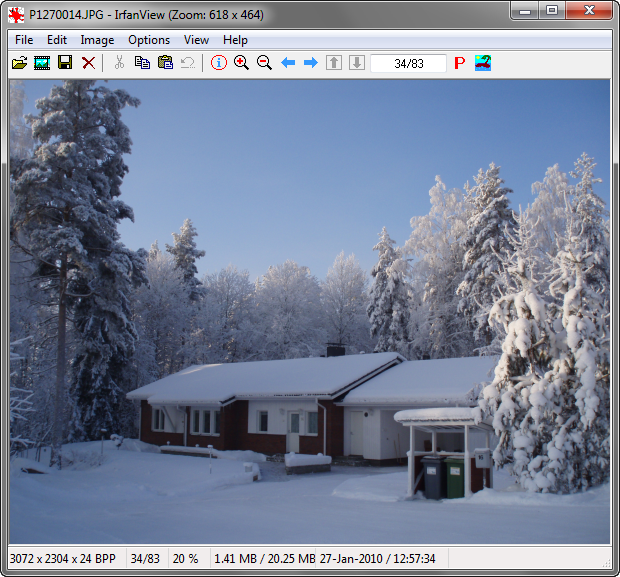 IrfanView is an ultimate handy tool for Microsoft Windows which his freeware/shareware than can modify and convert image files and even play video/audio files like “.gif”. Irfan Skiljan, a developer in Vienna has created the IrfanView that has been working with multi-platforms such as Windows, Linux, and Mac OS X. (You need WineBottler to run IrfanView in Mac OS X.) Since the first release, the program was free to download and popular because of its painting capabilities, image creation and wide range of graphic file formats. It is more accurate than others due to its small size, quick performance and ease of use. The latest version IrfanView 4.35 has added new insert text features, dialog profiles, and updated TIF loader. Basically, the program is compact and has very basic installation with complete set of plug-ins. IrfanView is free for non-commercial use and is available for free to download from its official website. Supports Embedded color profiles in JPG/TIF formats. Has Paint Option to draw lines, arrows, circles, flatten images, etc. View images in Slideshow and save them as EXE/SCR or you can burn it to CD. Shows EXIF/IPTC/Comment Text in Slideshow or Fullscreen. Convert images with advanced image procession method known as Batch Conversion. Edit TIF images with Multipage TIF editing method. View images via Fast Directory View. You can search files, email/scan/print them. Has a basic Multimedia player to play audio/video files. Has many Hotkeys, Command Line options, and Plug-ins. You can also add Watermark, a text/image overlay. You can change the color depth, edit IPTC files, capture screenshots, cut/crop images, and extract icons from EXE/DLL/ICLs. It doesn’t change the system registry entries without user authorization. Create Screensavers and slideshows with embedded MP3 audio. You can get toolbar skins from the official website by downloading the toolbar ZIP file and change the skin through “Properties->Toolbars” option. IrfanView is the most used graphic viewer worldwide with multiple GIF support and the first one to with multiple ICO support. Have you ever wondered how much bytes of data is transferred or received when your PC is connected to internet? Have you ever measured the bandwidth of your network connection? There are few tools that are free yet powerful used to calculate your internet bandwidth condition. NetWorx is one of the few network tools that measure the speed of your internet connection and collect bandwidth usage data easily. Many of us have internet usage restrictions by your Internet Service Provider (ISP) like limited download data or browsing. For this situation, NetWorx ensures that you do not exceed the specified bandwidth limits by identifying the network problems from various sources. It also checks for suspicious network activity behavior such as cyber attacks or malware infections. The latest version 5.2.7 has added a LAN traffic filtering, a built-in network driver for stable monitoring. To use Boolean settings toggled with a double click, the hidden settings are made easier. Monitors all or specific network connection such as PPP or Ethernet. Displays the network usage and bandwidth in both clear graphical and numeric mode. 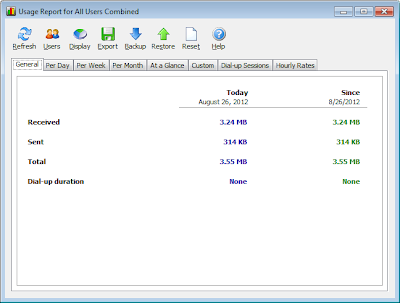 Export your internet usage reports to MS Excel, MS Word and HTML file formats. Close Surveillance of internet downloads and uploads. Displays network statistics and the applications using the internet connection. Works with ISDN, Ethernet cards, cable modems, ADSL, and many more. 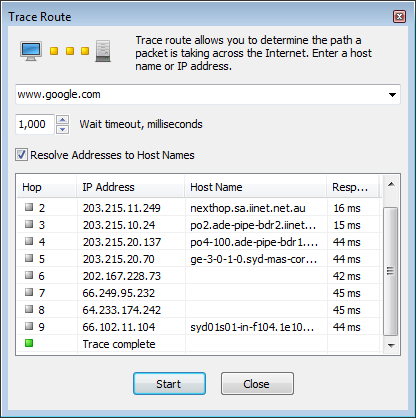 You can disconnect the internet automatically as soon as the threshold level of your network activity exceeds. Shows in-detail information about every dial-up session. You can perform simple network tests such as trace route and ping. 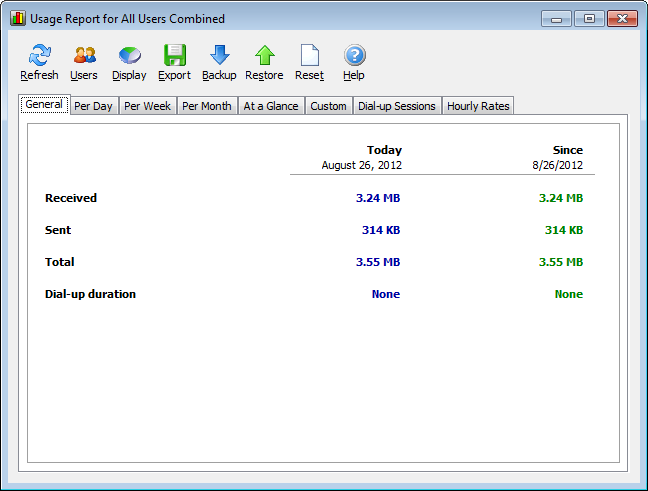 Can produce daily, weekly, and monthly reports of bandwidth usage. NetWorx is an effective tool when it comes to child monitoring. You can trace out the online time spent by your kids using this tool. You can even check the heavy network usage as it may indicate a malware infection or illegal usage of your router via WiFi. There are few network monitoring and bandwidth measuring tools which have unique features and advanced options to check the performance of your network activity in a hassle-free way and NetWorx is one of them, in fact the best. 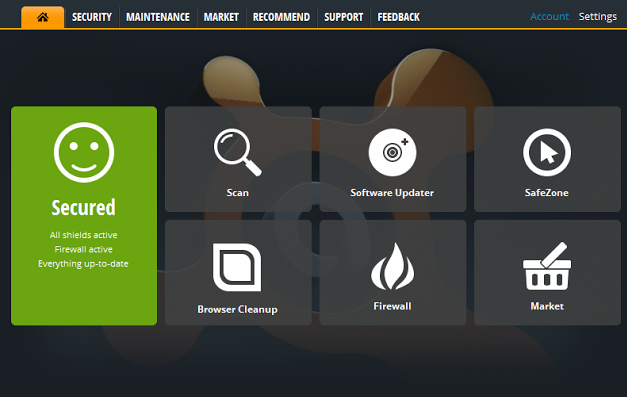 Download the latest version NetWorx 5.2.7 which is supported in Windows 8, 7, Vista and XP as well. It is free to download with no expiry and easy to install. The last thing you expect from a powerful media player is its unfailing media playback without installing any additional codec packs. 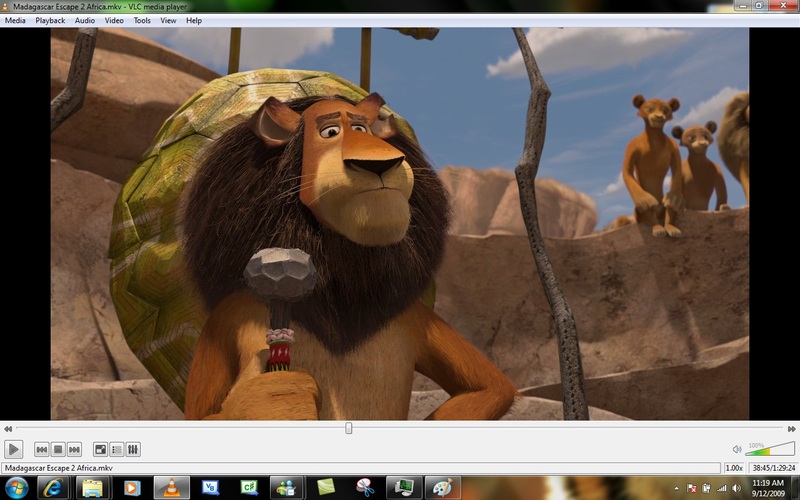 As every media player is unique in its own way, VLC Player stands on the top position for its consistent media playback and performance. It is uncomplicated, quick and powerful media player which plays everything right from files, discs, webcams, devices and even streams. VLC Player supports many video and audio file formats, compression methods, and streaming protocols. The latest version 2.0.5 has no major improvements except few regressions. KMPlayer, GOM Media Player and UM Player are the other top media players which are giving strong competition to VLC Player with advanced features like 3D, WiDi support. The interface is quite simple and unmodified yet has efficient layout design. It is completely customizable where you can install various skins. It has classic menu with the mix of simple and advanced options including Media, Audio, Video, Playback, Tools, etc. Can play MPEG-1, MPEG-2 and MPEG-4/DivX files from your hard disk, USB or CD-ROM drive. Supports Input Media – Satellite, Digital TV, Cable TV DVB, UDP/RTIP Unicast and Multicast, HTTP/FTP, DVD Video, SVCD, MPEG Encoder, Audio CD, etc. Supports Input Formats – MPEG, AVI, WMV, MP4, 3GP, OGG, MKV, WAV, DTS, AAC, FLV, Nut, MIDI, Raw DV and many more. Supports Video Formats – MPEG-1/2, DivX 1/2/3, H.264/MPEG-4 AVC, WMV, Digital Video, Real Video 1/2/3/4, Cinepak and so on. Supports Audio Formats – TrueAudio(TTA), Real Audio 2, MP#, AAC, AC3, DTS, Wavpack, APE(Monkey Audio), ATRAC 3, and many more. Subtitles – DVD, MicroDVD, SubRIP, VPlayer, Vobsub, USF, DVB, OGM, CMML, Kate, etc. Tags – ID3 Tags, APEv2, and Vorbis comment. Video Filters – Deinterlace, Bluescreen, Image distortion, Image wall, Magnification, etc. Audio Filters – Visualization effects and Equalizer. Initial Playback Synchronization with PulseAudio 2.0. Video and Audio Stream Enhancement. 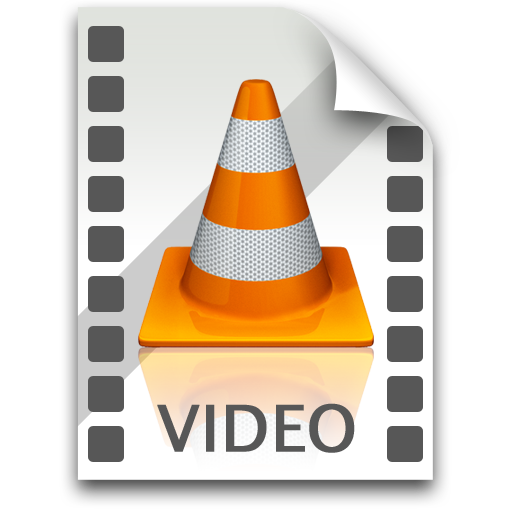 If you are looking for a full-fledged multimedia player with excellent configurable interface, functionality, and playback, VLC Player should be the top choice. Download VLC Player 2.0.5 for free from below link. Whether it is a PC, Mobile or Tablet, the most important thing all have to consider when connecting to public Wi-Fi networks is security. There should be an Encryptor like VPN service to block malware attacks and thus ensuring complete security to your web browsing activities. 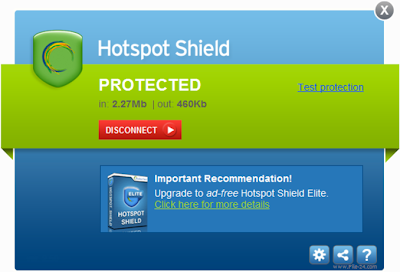 Hotspot Shield is a popular VPN (Virtual Private Network) service which comes as both free and paid subscriptions. 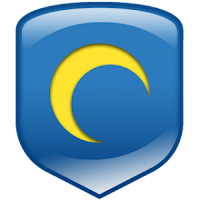 Hotspot Shield offers wide-range of features that isolates your browsing session, detects malicious threats like virus, malware, spyware, etc and blocks them instantly, consequently safeguarding your privacy. The program mainly aims at malware protection preventing hackers and intruders scrutinizing your internet browsing activities. Virtual Private Network, in short VPN creates separate network between your PC or mobile and the program’s internet gateway. Thus, anybody who tries to penetrate through the network fails to achieve the target. The un-infiltrated network tunnel stops unauthorized users entering your private area. Encrypts your browsing session, online shopping, and online personal identity using a secure HTTPS connection. Hides your system IP address due to privacy concerns and start private browsing right away. Bypass Firewalls and access all private web content without authorship or censorship. 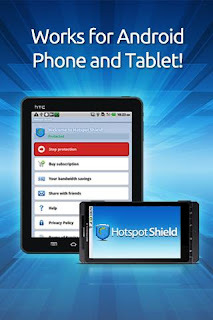 Protects your online identity at Wi-Fi hotspots, corporate offices, shopping malls, hotels, and airports. Works on both wireless and wired connections. With the revolt of Smartphones and Tablets, the use of internet is augmented and the security concerns also increased. The secret information such as credit card details, passwords, and other online identities have been the main target of hackers and web intruders. 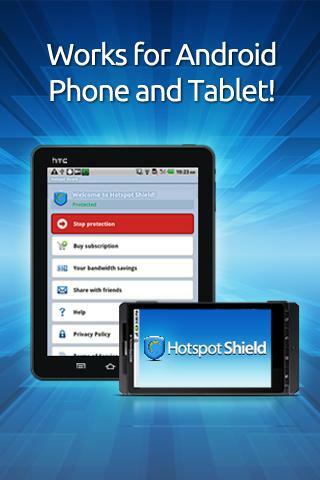 Hotspot Shield provides a better solution for secure browsing in the form of Data Encryption and Hiding IP Address. The application detects over 3 million malware websites from Hotspot Shield web servers and blocks them instantaneously before they enter your device whether it is a PC, Mac, iPhone or an Android. Hotspot Shield also replaces your device IP address with its own address, thus hiding the real location from anonymous web users. Most of the public hotspots are unencrypted posing severe problems to the user identity. At the time of online transactions, downloading or instant messaging, Hotspot Shield encrypts the network traffic with strong encryption algorithm and prevents cybercriminals from spying or disturbing your internet activity. As a result, you can browse internet secretly via Wi-Fi without any worry and hassle. Places like at school, university, office or the library, some websites are blocked by the network administrator. The administrator restricts in accessing Facebook, Gmail, YouTube, and gaming websites. 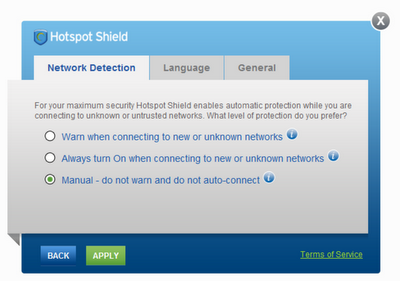 Hotspot Shield could easily unblock these restrictions and gain access. It passes the network bypass filters and firewalls and authorizes the blocked web content. Hotspot Shield can even unblock certain government websites which are restricted based on location. You can detour Geo-restriction settings and browser uncensored content you wish to. If you want to have advanced unblocking bandwidth compression, anti-phishing features, go for Hotspot Shield ELITE subscription which is $29.95 with no ads, dedicated customer support, cloud-based malware protection, and virtual location based TV viewing. You can also attempt the 7-day trial with the above features. Or else, you can download the free edition but with ads which is annoying for most of the users. CCleaner has released its latest version 4.0 which now cleans up temporary and unused files of Avast Antivirus 8.0, Adobe Photoshop CS6, Samsung Kies, and Real Player 16. The v4.0 also has improved GUI and internal architecture for enhanced performance. The Pro version users can now have the System and Browser Monitoring modules which are added to this new version. CCleaner as you know is the most popular and downloaded freeware PC optimization and cleaning tool that can remove junk files, browser cookies, etc. allocating more hard disk space to CPU to run faster. It even contains a full-featured registry cleaner which removes invalid registry entries. A Duplicate file finder is also available sorted based on name, size, and modification date. The internet browsing leaves traces such as cookies, passwords, and other history items which are potentially harmful to PC as well as your personal identity. Thanks for CCleaner which is one of the best optimization tool with powerful cleaning capabilities. The interface has intuitive layout which includes four features – Cleaner, Registry, Tools, and Options on the left side of the window. If you wish to modify what items are to be cleaned, there are two tabs namely Windows and Applications. In “Window” section, you can select or deselect OS items such as Internet Explorer, Windows Explorer, System, and Advanced things. Whereas in “Applications” tab, you can select/deselect softwares, programs, and multimedia applications such as Firefox, Chrome, Adobe Reader, Google Earth, Internet Download Manager, MS Paint, and many more. It cleans the temporary files, history, cookies, download history, and index.dat files from Internet Explorer, Firefox, Google Chrome, Opera and Apple Safari. It supports all major internet browsers in the market. It cleans Windows Recycle Bin, Recent Documents, Temporary files, Log files, Clipboard, Error Reporting, DNS Cache, Memory Dumps, Clipboard, and Jump Lists. It removes unused and old entries of the registry which includes File Extensions, ActiveX Controls, Uninstallers, Fonts, Icons, Invalid Shortcuts and many more using the Advanced Registry Cleaner. It removes temporary and recent file lists from many third-party applications like Google Toolbar, Nero, Adobe Acrobat, WinZip, Windows Media Player, etc. The software contains no spyware, adware, malware or viruses. Improved cleaning for Windows Log files, memory usage on Windows 7, Adobe Flash Player and ConvertToDVD. Added more language translations (35 counting). Avast Internet Security 8.0 is the next-generation internet security suite with additional security features and options than ever before. The interface is new with quick navigation and easy customization. The installation also has been the key factor to be the top internet security software today. Avast continues to develop the program with updated hybrid technology and file reputation analysis. 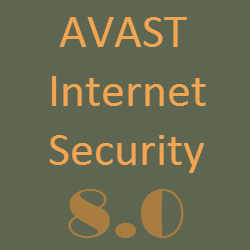 Avast Internet Security 8.0 includes all the required features to protect your computer and yourself from unknown internet threats with firewall, spam filters, extra security layers for online transactions, thus giving more than just antivirus protection. It safeguards your PC data and identity against cybercriminals which is much more significant in our modern life. It keeps the program updated with latest virus definitions and patches. 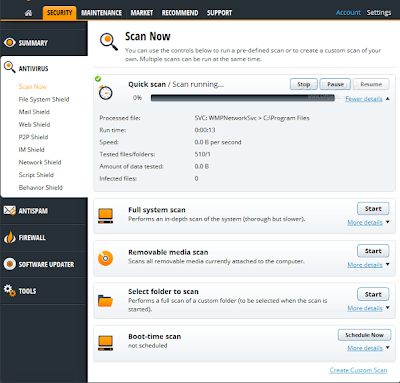 Avast’s Installation is not the fastest on the market by long-time, but in this 2013 version it has improved the setup process which lasts less than three minutes. You can choose “Custom” install and uncheck additional browser toolbars, add-ons and desktop gadgets. 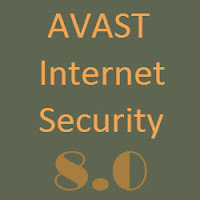 Avast Internet Security 8.0 doesn’t require a reboot which is an advantage to most PC users. 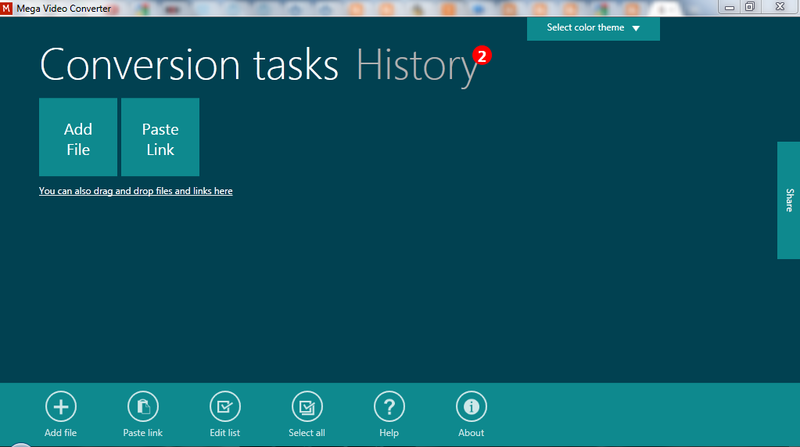 The Interface which is adopted from Windows 8 Metro-style has been quite impressive with touch screen compatibility. The tiled interface has six options and a green-colored security status. The six options include Scan, Software Updater, SafeZone, Browser Cleanup, Firewall and Market. The tabbed interface on the top includes Security, Maintenance, Market, Recommend, and Support buttons. 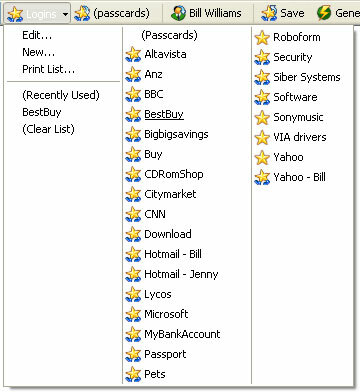 The “Security” tab comprises of all the protection tools and options such as antivirus, antispam, firewall, software updater and other tools which lead to comprehensive PC and identity protection. 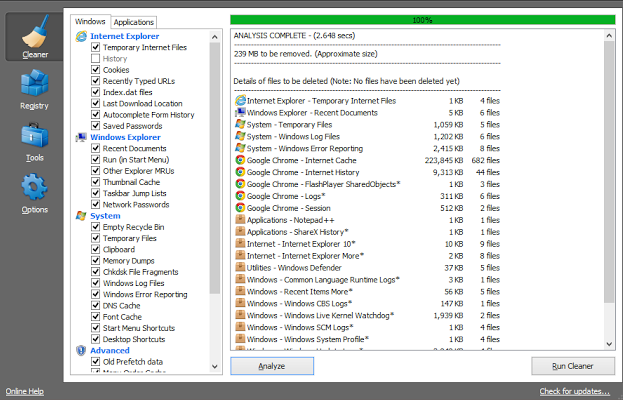 The “Maintenance” tab consists of some basic PC optimization tools like browser cleanup, etc. 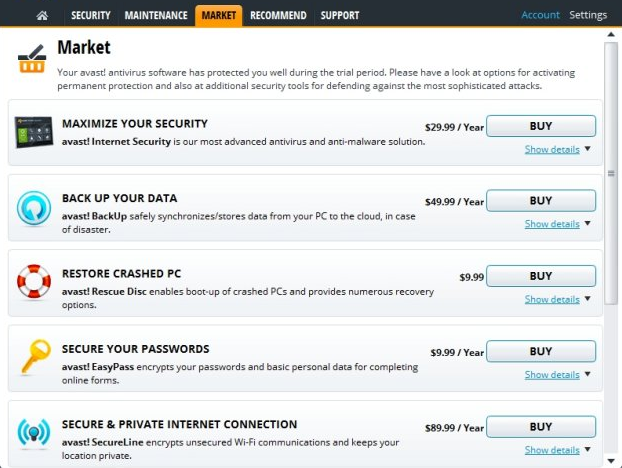 The “Market” tab shows you the other tools from Avast’s official market for activating permanent protection against complicated attacks. Includes Antivirus, Antispyware, and Antispam engines to experience the best protection ever for your PC. Built-in Silent Firewall restricts unauthorized entry such as hackers who would attempt to steal your important private data. Antispam engine prevents phishing attacks and email spam. SafeZone – An isolated virtual window is provided on your desktop for secure online transactions such as booking tickets, shopping online, auction sites, etc. This isolated window is strongly encrypted and inaccessible to other users like hackers. Sandbox – This feature offers zero-risk internet browsing outside your PC ensuring 100% social networking safety on Facebook and Twitter sites. It also guarantees secure Instant Messaging and P2P file transfer. It offers Real-Time Protection with Hybrid Cloud Technology which updates your PC with the latest virus definitions when they are available in the Avast cloud virus lab. FileRep – This cloud-based feature shows you the reputation data on million of files from the Avast’s cloud and warns you before you open it. AVAST Account Portal – Manage all your desktop and mobile devices within this portal that shows you the most important aspects of your PC such as no. of infected sites, no. of whitelist items, etc. SecureLine – An excellent VPM service that keeps your internet connection secured on public Wi-Fi ports or hotspots ensuring nobody can see what you are doing. Shredding tool to wipe off complete data on your PC for which you can see the progress. Remotely get assistance from your family or friends via AVAST’s servers for specific computer help. The performance level is high but scored just below “great” because while installing on infected PCs the number of hours required for remote control support is more. The Anti-phishing, firewall and spam filter accuracy has also been low. But the significant Sandboxing engine is strong enough to provide better protection than other internet security softwares. Compared with Avast Premier version, the internet security version lacks only few features like Software Updater, AccessAnywhere and other advanced privacy tools. The Avast’s free edition is more or less the same as Avast Internet Security 8.0. But the isolated online transaction takes an extra point over its free edition. 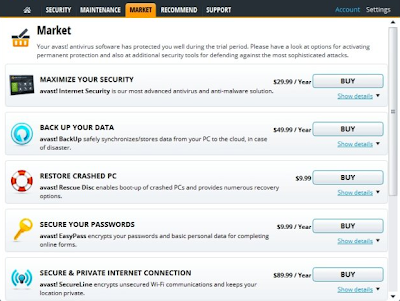 Download Avast Internet Security 8.0 full version for $49.99 or try a 30-day subscription. 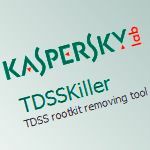 Kaspersky introduces a new TDSS malware remover which happens to be the ultimate tool for removing rootkits in your computer. But, what is a rootkit exactly? A rootkit is a deceiving program which conceals the existence of malware in the system by catching up with the system functions such as Windows API and then changes the behavior of the computer by some unusual methods. 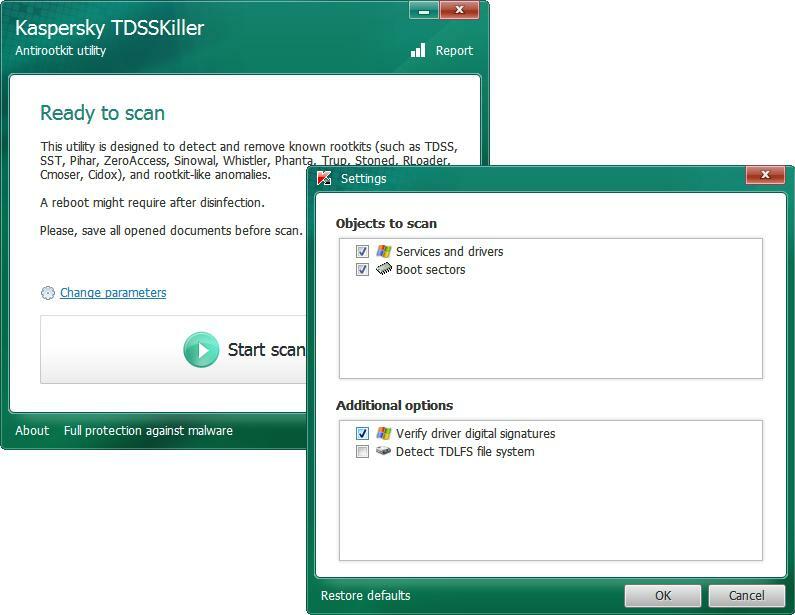 Kaspersky TDSSKiller 2.8 is the comprehensive tool for your PC to disinfect rootkits of a compromised system. The program is supported in modern Windows 8, 7 and Vista operating systems. 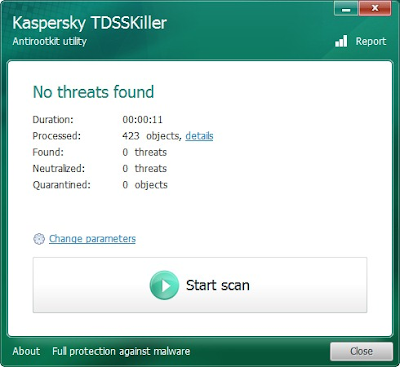 1) Download Kaspersky TDSSKiller from Kaspersky website. 2) Just run the TDSSKiller.exe file on the infected computer and hang around until the scanning and disinfection completes. 3) Reboot the system for absolute disinfection which is very much recommended. It is strongly recommended to close all the active applications and documents before beginning the scan. After the whole scan and disinfection, you can view the ‘Report’ which is located at the top-right of the interface window. Kaspersky TDSSKiller offers two security options i.e. to verify file digital signatures and detect TDLFS file system. It removes rootkits such as TDSS, SST, Pihar, ZeroAccess, Sinowal, Whistler, Phanta, Trup, Stoned, RLoader, Cmoser, Cidox and rootkit-like anomalies. A very simple designed user interface to detect and remove rootkits. You can either run the utility in Normal or Safe mode. It aims at hidden malware which includes boot records. The Interface is simple with a large "Scan" button to start the inspection process. Before you start the scan, you can change the parameters like safe or normal modes, drivers, services, boot sector, etc. If you wish to restore the settings, click “Restore to default settings” option. Kaspersky TDSSKiller 2.8 will be the most applauded utility from the Kaspersky security tools that has the ability to find every rootkit and malware threat on the infected computer. It is recommended to choose “Safe Mode” if you are unaware of the computer’s critical options. Kaspersky TDSSKiller 2.8 is free to download and comes with lightweight setup file size which supported in Windows 8, 7, Vista, XP, 2003, and Server 2008. Download the latest version of Kaspersky TDSSKiller from its official website where you can also view the detailed installation process.